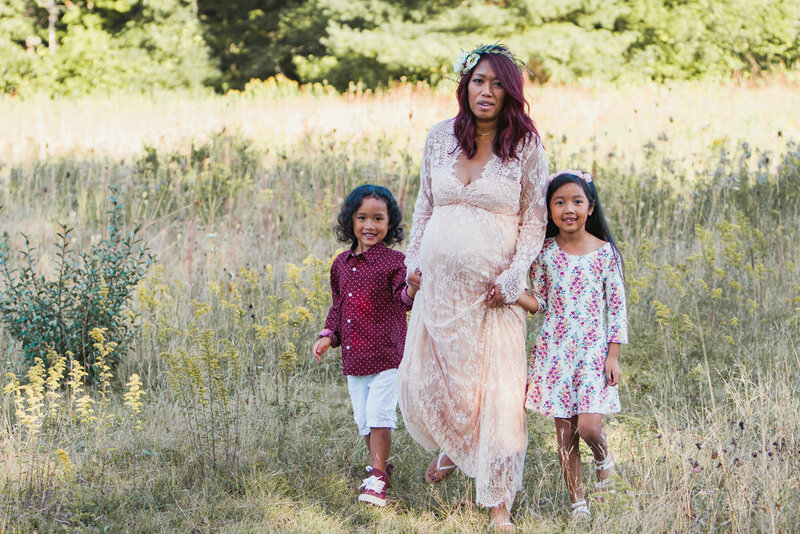 On a late September evening, I welcomed Chhoeun and her beautiful family for a very special maternity session. She styled her husband and children in deep burgundy, perfect for fall, that accented her gorgeous hair. We played in sunlit fields and climbed down into the rocky banks of the Royal River in Yarmouth, Maine. Thanks Chhoeun for having me document this precious moment before you welcome your new daughter into this world. I'm wishing you all so much joy!